Steven Mackey—a Grammy Award-winner lauded by Gramophone for his “explosive and ethereal imagination”—is regarded as one of the leading composers of his generation, with compositions ranging from orchestral and chamber music to dance and opera. Born in 1956 to American parents stationed in Frankfurt, Germany, his first musical passion was playing the electric guitar in rock bands based in Northern California. He blazed a trail in the 1980s and ‘90s by including the electric guitar and vernacular music influences in his classical concert music. He regularly performs his own work, including three electric guitar concertos and numerous solo and chamber works. He is also active as an improvising musician, and performs regularly with his band Big Farm. In the fall of 2017, Mackey released a CD of his wordless electric guitar opera, Orpheus Unsung, on the New Amsterdam label, which he performs with Sō Percussion member Jason Treuting. Directed by film and stage director Mark DeChiazza, and featuring three dancers along with the guitar and percussion, the piece premiered in the spring of 2016 at the Guthrie Theater in Minneapolis, and Mackey and Treuting performed excerpts at Brooklyn’s National Sawdust this past spring. It receives another performance in October as part of the celebration of the opening of the new Lewis Center for the Arts complex at Princeton University, where Mackey is also a Professor. Another new piece, Through Your Fingers, was written for frequent recital partners cellist and MacArthur Fellow Alisa Weilerstein and celebrated Israeli-American pianist Inon Barnatan; they play the world premiere in October at Carnegie Hall, which co-commissioned the work with London’s Wigmore Hall. Mackey’s 2010 music theater piece, Slide, for tenor/actor, electric guitar and mixed chamber ensemble will be staged this season at National Sawdust, as well as venues in Princeton and Philadelphia; and both the St. Louis Symphony and New World Symphony give performances of his 38-minute magnum opus for orchestra, Mnemosyne’s Pool, commissioned by the Los Angeles Philharmonic, Kennedy Center, Sydney Symphony, and New World Symphony in 2015. Capping the composer’s banner fall is a week-long residency at the New Music Festival at Ohio’s Bowling Green State University, with his wife, composer Sarah Kirkland Snider. Highlights from recent past seasons include a performance of Mackey’s violin concerto Beautiful Passing by Jennifer Koh and the Baltimore Symphony led by Marin Alsop; a performance of the string quartet Ars Moriendi (2000) by members of the St. Paul Chamber Orchestra as a prelude to last season’s Orpheus Unsung premiere; the premiere of Blue Notes and Other Clashes (2016) by the PRISM Quartet and Sō Percussion at the Kimmel Center in Philadelphia, subsequently released on the XAS label on an album titled Color Theory; Triceros (2015), a trumpet concerto commissioned by the Swedish Chamber Orchestra for virtuoso Håkan Hardenberger; and One Red Rose (2013) for the Brentano String Quartet, commissioned by Carnegie Hall, the Nasher Sculpture Center and Yellow Barn for the 50th anniversary of the assassination of JFK. Mackey’s orchestral music has been performed by major orchestras around the world, including the Los Angeles Philharmonic, San Francisco and Chicago symphonies, BBC Philharmonic, Academy of St Martin in the Fields, Royal Concertgebouw Orchestra, Austrian Radio Symphony, Sydney Symphony, and Tokyo Philharmonic. 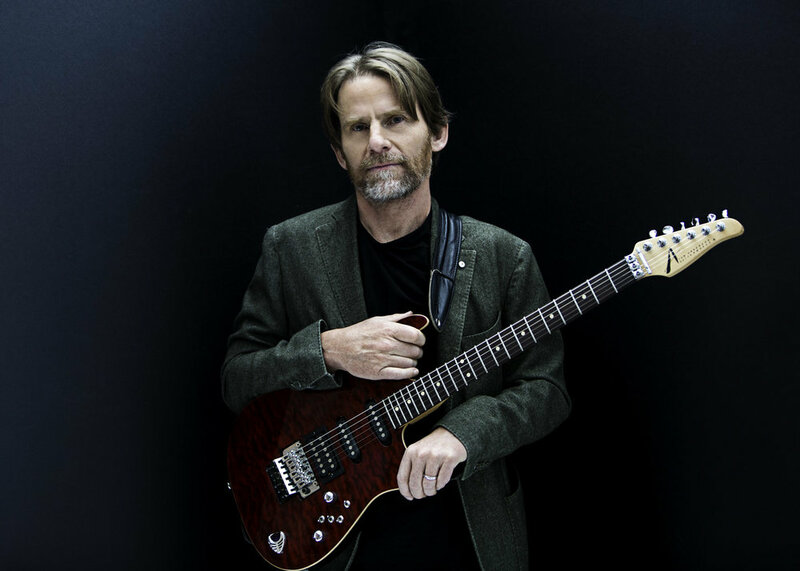 As a guitarist, Mackey has performed his chamber music with the Kronos Quartet, Arditti Quartet, London Sinfonietta, Nexttime Ensemble (Parma), Psappha (Manchester), and Joey Baron. There are a dozen CDs devoted exclusively to Mackey’s music and many others that contain individual works. Dreamhouse (2010) and Lonely Motel: Music from Slide (2011) were each nominated for four Grammy awards, and Lonely Motel, performed by Mackey, vocalist Rinde Eckert, and groundbreaking contemporary sextet Eighth Blackbird, won the Grammy for Best Small Ensemble Performance. Another Eckert collaboration, Mackey’s opera/monodrama Ravenshead, is recorded on the Minmax label with the Paul Dresher Ensemble. Declared the Best New Opera of 1998 by USA Today, the piece has been performed nearly 100 times to date. The composer’s numerous honors and awards include a Grammy, several awards from the American Academy of Arts and Letters, a Guggenheim Fellowship, the Stoeger Prize from the Chamber Music Society of Lincoln Center, and a Kennedy Center Friedheim Award. He has also been the composer-in-residence at major music festivals such as Tanglewood, Aspen, and the Holland Festival. Mackey is currently Professor of Music and former chair of the Department of Music at Princeton University, where he has been a member of the faculty since 1985. Helping to shape the next generation of composers and musicians, he teaches composition, theory, twentieth century music, improvisation, and a variety of special topics. He regularly coaches and conducts new work by student composers, as well as 20th-century classics. He was the recipient of Princeton University’s first Distinguished Teaching Award in 1991. Mackey’s music is published by Boosey & Hawkes. He and Kirkland Snider live in Princeton, New Jersey with their son, Jasper, and their daughter, Dylan.